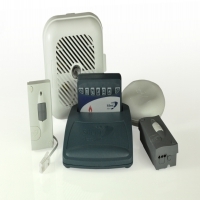 The alarms in this section detect carbon dioxide leaks and give a visual or audible alert. 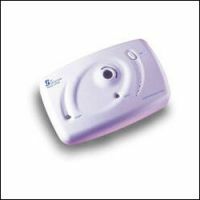 Carbon monoxide detectors are widely available, the detectors in this section have features which may enhance ease of use. Carbon monoxide is a poisonous gas which has no smell, taste or colour. It is produced by the incomplete combustion of fuels including gas, oil, coal and wood used in boilers, gas fires, water heaters, solid fuel appliances and open fires. An orange rather than blue flame can sometimes be an indication that carbon monoxide is being produced. 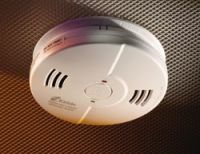 Exposure to above recommended concentrations of carbon monoxide can quickly cause headaches, dizziness, nausea, convulsions and death. 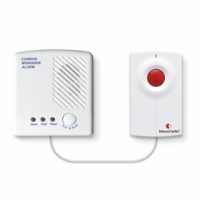 Carbon monoxide detectors can also be part of a telecare system, view telecare enabled carbon monoxide alarms.